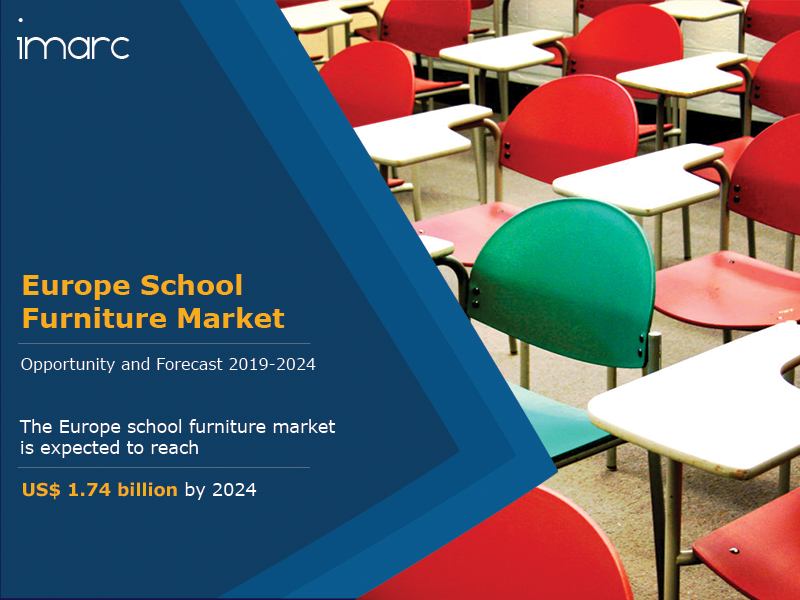 The Europe school furniture market reached a value of US$ 1.26 Billion in 2018. School furniture represents a catalyst in transforming classrooms from static physical spaces into dynamic learning environments. School furniture should be designed in a way which is not only considered productive for human use but also beneficial for physical and mental health. Good furniture has a positive impact on both the student’s health and their classroom development. The development of portable technologies and mobile furniture also allows institutions with a flexible learning space. Moreover, in school environment, ergonomics is important for student’s interaction within the classroom. Inadequate school furniture can bring about negative consequences, leading to health issues due to pain and discomfort caused by the traditional furniture. With ergonomic furniture, students have a better posture, are more concentrated during classes and obtain better results. Various other factors such as increased focus on aesthetics, rising focus on environment friendly furniture, rising number of schools, changing teaching methods, rising use of advanced materials, etc. are also expected to have a positive impact on the market. Looking forward, IMARC expects the market to reach a value of US$ 1.74 billion by 2024, growing at a CAGR of around 6% during the next five years. Desks and chairs currently represent the biggest segment, accounting for the largest market share. Wood based material currently account for the largest share. The offline channel currently dominates the market. Germany currently represents the largest market for school furniture in Europe. How has the Europe school furniture market performed so far and how will it perform in the coming years? What is the breakup of Europe school furniture market based on the product type? What is the breakup of Europe school furniture market based on the material? What is the breakup of Europe school furniture market based on the distribution channel? What is the breakup of Europe school furniture market based on the country? What are the various stages in the value chain of the Europe school furniture market? What are the key driving factors and challenges in the Europe school furniture market? What is the structure of the Europe school furniture market and who are the key players? What is the degree of competition in the Europe school furniture market?